In the olden days, we all were farmers. Then the Industrial Revolution happened and we all were (more or less) interchangeable parts on an assembly line. In the future – and to some extent this is already happening – we’re all going to be artisans. Not “artists,” but artisans – independent practitioners of a creative craft. Like carpenters, or jewelry makers, or potters – but instead of physical objects we will be crafting ideas and information and knowledge. Part of a continuing series on the fears that hold people back from being self-employed. There won’t be enough business to keep me in business. Every business is ultimately a leap of faith. Whether it’s a car mechanic or a restaurant or a cupcake bakery, some businesses fail and others flourish. It seems to me that the businesses that succeed have some kind of underlying “it” factor that drives their success – something that makes it clear that the people in charge are doing what they were meant to do. If what you offer is good enough for people to want to tell other people about it, you’re probably going to be all right. If you’re offering something that is valuable and worthy of people’s time, the world will support you. You’ll find the right people who will be good customers for your business – and they will tell others about you. After all, how does any business find enough business to stay in business? The great thing about the Internet, in spite of all the spam, clutter, noise, and scam artists out there, is that the Web makes it easier than ever before for people to connect with others. That’s ultimately what it’s all about. The Web makes it possible for word of mouth – the oldest and most profitable form of advertising – to be amplified to infinity. If you’re good, someone is going to find out. It’s easier than ever before to share your story. Of course, you still have to work, you still have to hustle – you can’t just put up a Web site and expect money to magically appear in your bank account – but if you’re diligent, authentic and focused on your best skills, the Web makes it easier than ever to carve out a profitable niche (or multiple niches) in the world. Part of our continuing series on the fears that hold people back from being self-employed. Here’s something to consider: if you currently work for someone else, you probably aren’t making as much money as you’re worth. Think of it this way: if you work for a salary, you are effectively selling your time at a bulk discount. A good living, right? After all, median household income in the U.S. is $53,000. So $50,000 is a pretty decent middle class income. But here’s the thing – what if you were self-employed and had the flexibility to take on multiple, smaller projects that paid more – much more – per hour? It seems to me that with the way the job market is going, it’s easier to get more than one job than it is to get “a” job. It’s easier to find multiple smaller paychecks on a project basis than it is to find one “old-fashioned” salary-and-benefits job. If you’re salaried, there’s a ceiling on how much you make in a year. Your salary is set in advance, you put in your 2,000 hours, and unless you’re the CEO, your annual pay raise will barely keep up with inflation. The big boys at the top make the big bucks and the rest of us scrape by. If you’re self-employed, you have the freedom and flexibility to adjust your market value as you go along. You can take more work when you really need it; you can turn down projects if you’re swamped. You can make as much money as you want. You’re not bound by the artificial constraints of 2,000 hours a year. The more I think about this, why would anyone NOT want to be self-employed? Part 3 in our continuing series on debunking some of the common fears that hold people back from being self-employed. I won’t have any time off. Paid time off is one of the best parts of having a job. There’s nothing better than spending a week on vacation – and getting paid for it. Giving up paid time off used to be one of the reasons why I was reluctant to be self-employed. But then I realized that I was thinking about things the wrong way. You see, when an employer gives you “paid time off,” they’re really just forcing you to forego some extra income. So by “giving” you two weeks of paid time off each year, your employer isn’t really “giving” you anything – they’re just choosing how to apportion your income. Your employer chooses to keep two weeks worth of your pay in a special “account,” and then at the end of the year when you use up your time, your “account” is empty. When you work for yourself, you can decide how to apportion your money – all of it. Or, what if you don’t want to take the time off, and you want to make even more money instead? (Most self-employed people don’t take a lot of time off – they work longer hours and more weeks per year than they did when they worked for a company – look at me for example; I’m typing this post at 5:41 p.m. on a Saturday night, and I love it.) I think the reason most self-employed people work so much is not because they don’t have a choice, but because they actually ENJOY their work. For example, I love doing work for my freelance clients. I love it. I think about freelancing all the time. I’m always thinking of new ways to word things, new ideas to share with my clients, new ways to bid on projects and win new business. So for me, I don’t mind working on holidays. I don’t mind taking the laptop on vacation. As long as I enjoy the work, and as long as I’m actually going to make money from the time and effort I put in, I’m happy to do the extra work. I don’t worry much anymore about “not having paid time off.” Because compared to working in a cubicle, every day of self-employment feels like a paid vacation. If You’re Self-employed, Health Insurance is too Expensive. I hear this one a lot. And it’s true – health insurance is tough. I’ve been through the experience of applying for a federal security clearance, and I can honestly say that applying for health insurance is worse. If you want to be self-employed, you’re going to pay a lot more for health insurance than you used to. But here’s the thing: it’s not like your employer-sponsored health insurance is FREE. Your employer isn’t “giving” you health insurance – they’re taking it out of your salary. Stupidity (one reason why the U.S. didn’t get universal health insurance in the aftermath of World War II is because white racists in the racially-segregated South didn’t want to give up their precious whites-only hospitals). So how should we think about health insurance for the self-employed? Look at it this way: When you pay a health insurance premium every month, you are in effect placing a bet that something bad is going to happen to you. So how big do you want that bet to be? For example, let’s say you have a family of four and a monthly health insurance premium of $750, with a $2500 annual deductible. This means that every month, you are betting that your family will spend MORE than $950 on health care – and you would have to do so in order for this plan to be a good deal for you. But most people don’t get sick that often. In fact, if you’re in good health, there’s no reason why you couldn’t go months without needing to see a doctor or get a prescription. And even if you do have some kind of ongoing health condition, the costs are often predictable and manageable – or at least, can be managed in a better way than shelling out $1,000 a month on premiums. So if you’re self-employed, it seems to me that the best way to look at health insurance is in terms of total out of pocket costs. This means: choose a plan with low monthly premiums, higher deductibles, and a manageable total annual out-of-pocket limit. I’d rather pay for the “little things” along the way – doctor’s office visits, prescriptions – as long as I know there’s a limit to how much I will have to pay over the course of the year. I’d rather pay for medical care when we actually need it, rather than throw money away on high premiums every month. The fundamental purpose of health insurance is to protect against financial catastrophe – not to pay for every little thing along the way. Lots of us who work for employers with “good health insurance” get spoiled – we get used to paying $20 for an office visit and $20 for a prescription, even though the actual cost of our health care is largely hidden (and still truly being paid by us). If you’re self-employed, you can still have peace of mind and good medical care for your family; you just need to think differently about health insurance. Pay for the small stuff. Make sure you’re covered for the possibility of big expenses (emergency room visits, hospital stays). And even though your health care might be more inconvenient or more apparently costly than it was when you were an employee, consider it as part of the price of freedom – because freedom isn’t free. There are a lot of people who might want to start their own business, but it sounds too scary. I can relate to this. I think it’s important to examine some of these fears and figure out a new way of thinking about them. Being self-employed is too risky. Being self-employed (in America) makes it too hard to get health insurance. Being self-employed causes you to make less money than you would make working for a company. It’s true that if you’re self-employed, you don’t have a steady paycheck. Every dollar you make has to come from the sweat of your brow; it’s not like working for a company where it’s possible to just coast for a while without working too hard, and then on payday you collect your full paycheck like every other week. However, especially in “this economy,” working for someone else is pretty risky, too. After all, if you work for a company, you can get laid off. At any time. Often for reasons that have nothing to do with whether or not you’re good at your job. Worst of all, if you spend too long at one employer, you run the risk of your skills becoming stagnant. There’s nothing worse, especially in the fast-paced information economy that we are living in now, than to be stuck with obsolete skills and a mindset of inertia and helplessness. If you spend 30 years working for a company and then get laid off at age 55, and all you know is an increasingly narrow band of knowledge that only applies to what goes on at your specific (former) company…well, that’s a terribly difficult spot to be in. Which risk would you rather take? The risk of trying to do something you care about and working for yourself (and possibly failing and losing your house), or the risk of “playing it safe” by working for one employer (and possibly ending up with less money, less fun, less worthwhile experience…and still being stranded at age 55 with few marketable skills, and still losing your house)? I’m 30 years old. In the past year, two of my high school classmates died. (One after a lifelong struggle with cystic fibrosis, the other from a sudden-onset infection of antibiotic-resistant pneumonia.) The point of mentioning this is – life is unpredictable. There are no guarantees in this world. Why do you want to spend your life doing something you hate, only to drop dead at your desk three days before retirement? Sometimes the riskiest move is to keep playing it safe. I am the Grand Prize winner of the Elance “New Way to Work” contest. There are about 1,000 people that I should thank. There are so many people who have encouraged me and inspired me and influenced my thinking as I’ve made this journey toward self-employment. I’m grateful to all of my clients on Elance – thank you for hiring me, paying me on time, and including me in the co-creation of some great work. You all are inspiring and innovative people, and it’s been so much fun for me to be part of what you do. I’m grateful to all of my co-workers, past and present – I’ve learned so much from everyone. Every single job I’ve ever had has helped lead me to this moment. Every bit of work experience matters – I’ve drawn upon the full breadth of my career background as I’ve built up a client base on Elance. What a great day. Wow. I’m still in shock, a little. Note: This post won the Grand Prize in the Elance “New Way to Work” contest. I’ve hated almost every job I’ve ever had. OK, “hate” is too strong of a word. Let me put it this way: I have often felt deep frustrations and resentments toward every job I’ve ever had. I haven’t hated the work itself or the people that I’ve worked with, or even the organizations that I’ve worked for. I’ve done really good work and had some great times with some really great people. But what I’ve hated are the limitations and confinements and pointless restrictions of the “job” itself. Most of all, I hate having a cubicle. Think about it. Do you know of anyone who truly likes their cubicle? Do you like your cubicle? If you had a choice, would you ever in a million years choose to work in a cubicle? Isn’t there something fundamentally pathetic about the way so many of us spend the majority of our waking hours, hunched inside these fabric-padded boxes, peering at computer screens, eating our sad little microwaved lunches off our desks? This is America, right? “Land of the free, home of the brave” – but this “old” way of working in a cubicle – the isolation, the sensory deprivation, the bad lighting, the walling-off-of-oneself from the wider world – doesn’t feel very “free” to me, or very brave. Fortunately, I believe that we are on the cusp of something better – much better – than life in a cubicle. With Elance, I’ve discovered the start of a new way of work – and a better way of life. Cubicles are the phone booths of the future. Someday, people are going to look back at cubicles with the same sense of disbelief that today’s kids have when they look at phone booths. It sounds absurd, right? Who needs a phone booth in this day and age, when everyone carries phones in their pockets? Imagine, having to sit in one specific spot and use one specific phone just to make a call! 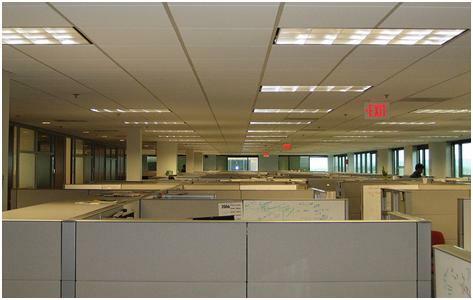 Well, someday – probably sooner than most of us expect – people will look at cubicles the same way. It’s true that there are some jobs where you need to be on-site and work set hours. If you’re a 911 dispatcher, you definitely need to be on call at set hours each day. If you’re an attorney or consultant who works on a billable hour basis, you need to put in a set amount of time to demonstrate your productivity (although the billable hour system is under pressure, as clients look to rein in costs). If you’re a retail store manager or a restaurateur, you need to be where your customers are. If you’re a waiter in a restaurant, serving food, or if you’re a nurse in a hospital helping patients, you need to be “there” in order to do your job. But for most of us who sit in cubicles – those of us who are “knowledge workers,” who work with information and numbers and words and ideas – there is no “there” there anymore. You’ve heard of this thing called the Internet, right? You’ve seen some of the smart phones that people are carrying around? Why is it so important to you to have your people sitting in their cubicles for an arbitrary length of time each day? Why is 8 hours so important? Why not 7.569 hours? Why not 3 hours? Who cares, as long as the work gets done? Now more than ever, it’s possible to be available – and highly productive, and totally engaged – while still having the freedom and flexibility to choose when and where and how we work. With the New Way of Work on Elance, we can work for clients worldwide, and we can do the work from anywhere. Who needs a cubicle? Elance has changed my life. I hold conference calls via Skype – for free – with clients whose time zone is 15 hours ahead of mine. I send draft documents to the client via e-mail before I go to bed at midnight, and I get feedback from the client when I wake up the next morning. I make much more money (on an hourly basis) working for myself, from home, than I’ve ever made working in a cubicle for someone else. I can make more money in two or three hours than I make sitting in a cubicle for eight hours. Best of all, I love the work. I should have started doing this five years ago. The work is fun, it’s creative, it’s full of variety and new challenges, and it’s for real customers who are grateful for the help. Most big companies aren’t ready for the new way of work. (Best Buy is one exception – they’ve implemented a “Results Only Work Environment” at their corporate headquarters which allows employees to basically come and go as they please, as long as the work gets done.) But smaller companies, sole proprietors, and even some innovative larger organizations are going to realize some great benefits from hiring skilled professionals on a flexible, project-by-project basis. It’s easier than ever before to use sites like Elance to find qualified, vetted, reliable professionals to help on almost any project. You can quickly and easily put a project out for bid and mobilize a talented team from all over the world – and it doesn’t matter that you aren’t all sitting in the same row of cubicles together. Of course, not everyone wants to be self-employed. There are still going to be “cubicle jobs” for people who want the more traditional idea of job security, or who love working for a particular company. There are still going to be jobs that require a kind of group synergy that only results when everyone is on-site together, or that require a level of confidentiality that is hard to achieve via e-mail alone. But for those of us with a certain kind of skills, energy and ambition – this is a new day, and the sky’s the limit. We can work for anyone, anywhere, all over the world. It doesn’t matter where you live – all that matters is your skills, your hustle, and your demonstrated reputation for delivering results. Thank you, Elance for introducing me to the new way of work. I think we’re on to something big. December 17 – UPDATE: Thanks to everyone for reading my post, and thanks for all the great comments and e-mails. The response to this post has been overwhelming, and I am grateful for everyone who took the time to reach out. Subscribe to my blog – the subscription form is on the right side of the screen; I promise not to send you spam or share your info with anyone.